Secret：It is made with hardened steel rods for maximum protection! These heavy-duty steel rods inside the polycarbonate housing won’t bend, break or get rusty and are hardened to withstand attacks with metal saws. Your motorcycle will always be protected and safe, regardless of whether it is parked in your driveway or in front of your favorite road stop. You know you need this security system for your bike! You can install and uninstall the motorcycle lock within seconds! You won’t have to bend, kneel and put too much effort and you don’t even need a key to put it on.This lock is unbelievably convenient. So even if you’re in a hurry, the motorcycle lock will not delay you. Mayate is a solution that is so easy to use that you will use it every time! The Mayate is compact and very lightweight, so you can always keep it under the seat! It is much more convenient than heavy chains, large U-locks, and other security locks. Get the Mayate motorcycle lock and have some peace of mind! This smart security device locks at the handlebar, and it immobilizes both the throttle grip and the brake lever. This is an unusual and innovative bike lock that will keep your motorcycle, scooter, quad bike or snowmobile secure and safe! This is the slogan that best describes the Grip-Lockmotorcycle handlebar locks because the lock is durable and easy to install! Forget all about kneeling, bending and stretching - all you have to do is apply the lock on the handlebar. You don’t even need to use a key to lock your Mayate. Convenient peace of mind! And when you come back to your motorcycle, the unlocking is just as easy! Then put the lock under your seat: at a compact 6 x 2 x 2 inches (that’s 15 x 5 x 5 cm) and only 12 oz (330 grams), it’s ultra compact and lightweight! The Mayate is available in a range of 10 colors. 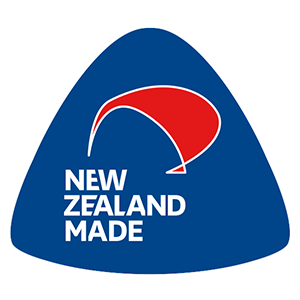 Made in New Zealand from carefully selected premium components, the Mayate is available in more than 50 countries worldwide and is already securing millions of motorcycles today! Secure Your Bike with Mayate NOW!